Ontario was by far the most visually pleasing province to drive through. The reduced speed limits, although annoying (and difficult to stick to) at first, allowed for better enjoyment of the scenery. We stopped more often and enjoyed the rock, trees, water and richness of Ontario. When our road trip brought us to Lake Superior I couldn’t comprehend that it was a lake and not an ocean. Even today, knowing that it is a lake (I had to check by looking it up), I’m still not sure of the ‘lakeness’ of Lake Superior. Surely it should be classed as an ocean?! Beyond this small bafflement, the rest of the journey was brilliant, much of my time was spent looking out for further glimpses of Lake Superior. 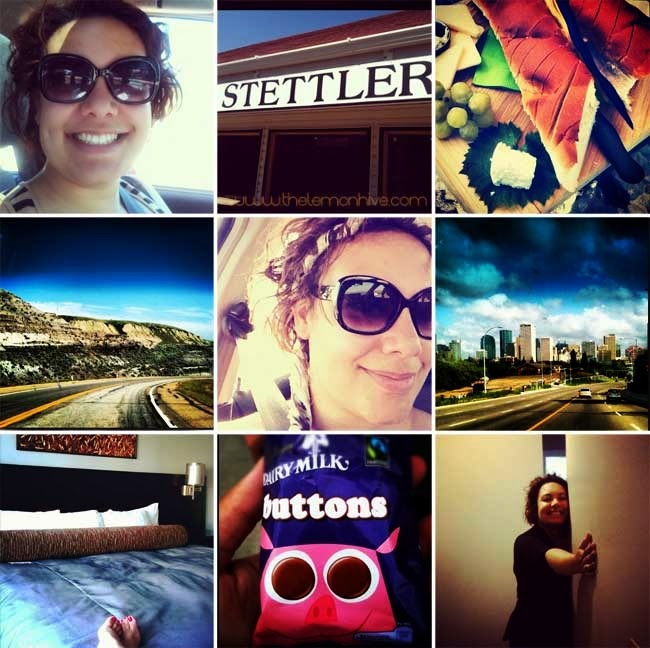 We travelled from Fort Frances to Thunder Bay and then onwards to Wawa. From Wawa we pushed ourselves to Petawawa, where we collapsed and spent a slow afternoon with Amanda and her family, who were posted here a few years ago. From there, we braved the Queensway in Ottawa, during rush hour, and promptly became lost on the side roads of the city. Some 3 hours later, we made it to Prescott, where my mother-in-law took us out for even more restaurant food. Although some what tired of restaurant food over the 9 days of travel, the restaurants in Prescott offered far better food than the falafel burgers of Nipissing or the dodgy burgers of Sudbury. If you’re on a road trip that takes you through northern Ontario, stop in Wawa and see the world’s biggest goose statue, Lake Wawa and Magpie falls. 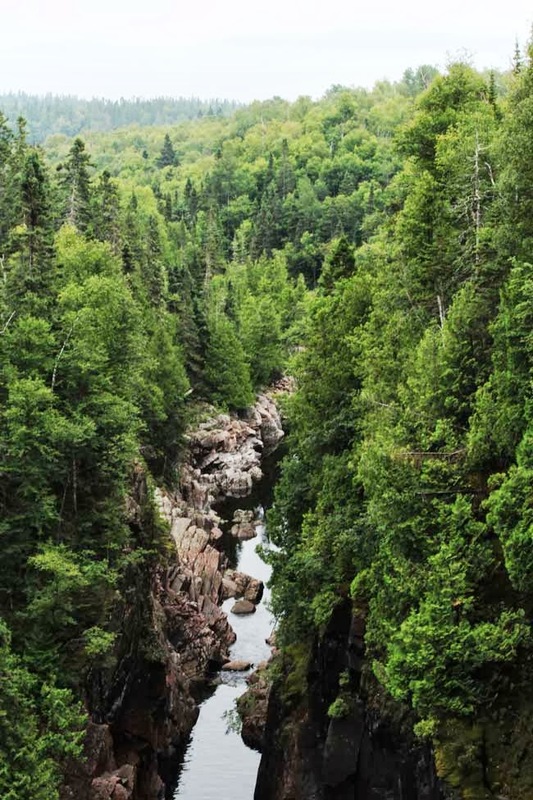 Stop at Kakabeka falls and when in Thunder Bay, drop down and drive through the Sleeping Giant Provincial Park, which is the first real experience of Lake Superior, it is a bit of a circular trip but a pleasant drive, nonetheless. 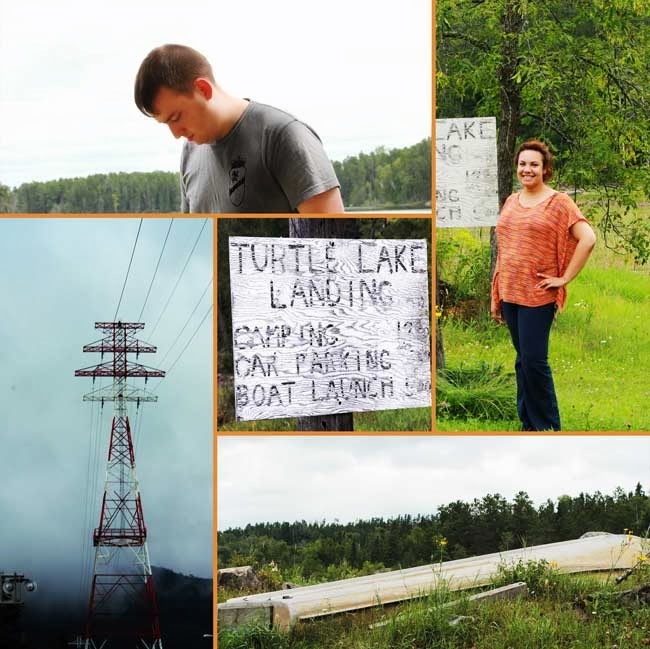 Between Thunder Bay and Wawa, we left the beaten trail and headed for Turtle Lake Landing. Beyond having great photo opportunities, it provided great amusement. It was a ridiculously long drive down dirt roads and steep hills and a lot of judgement from locals who did not approve of our little hatchback, apparently these roads were for trucks only (eek!). Thank goodness we were able to make it back up the hill, I don’t think I could have stood the embarrassment of having to ask for help pushing it up the steep inclines! 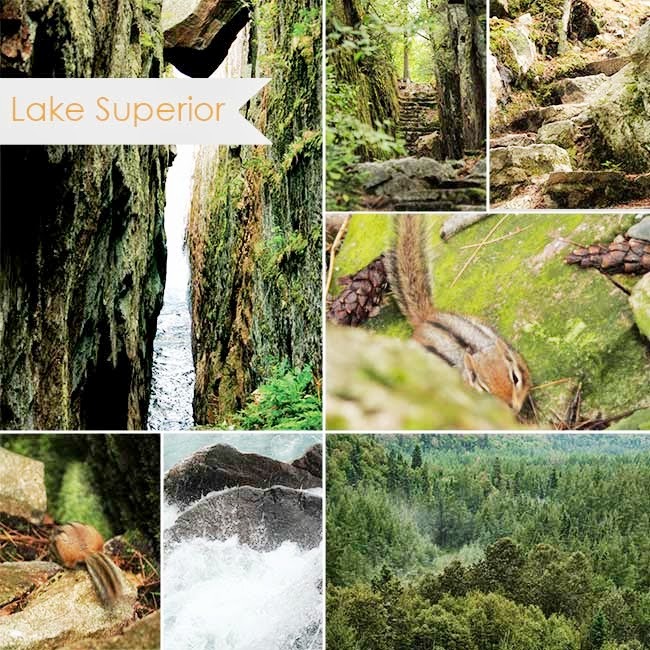 Between Wawa and Sault St Marie, there is a hiking trail of …an advanced nature. It’s worth pulling over for, because, well: chipmunks. There are also some historical cave and wall drawings accompanying stories of sea monsters. It was only after finishing the hike and scaling the rock face above a very turbulent Lake Superior that we discovered that it was an ‘Advanced Hiking Trail Only’. Still, we managed it and enjoyed it, the photo opportunities were amazing and it was one of the biggest joys of the road trip. I also learnt that converse, designer skinny jeans and hiking are not the best of combinations! Finally, be prepared for unpredictable weather on the roads of northern Ontario. Or, in fact, anywhere in Canada. 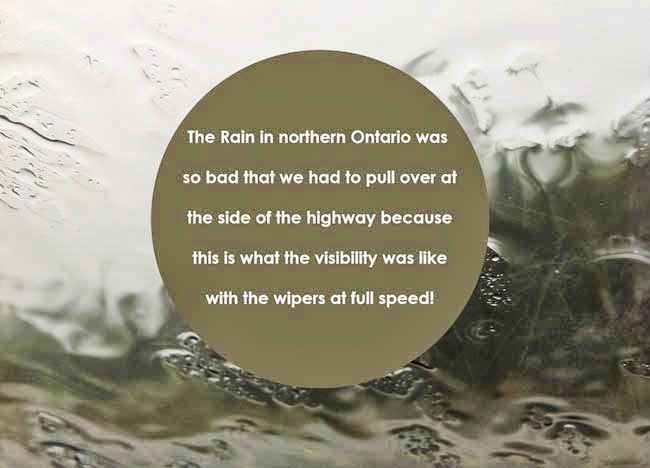 Our road trip was blessed with fantastic weather, however, there were moments when we had to pull over on the highway because the rain was pounding and making visibility impossible.